We provide exceptional landscaping services to a wide range of commercial and residential properties for over 26 years, including large corporate environments, city parks, shopping malls and apartments. 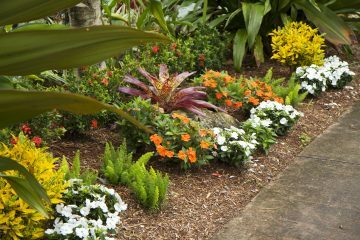 Our experienced landscapers set the standard each day in landscape design, installation, and maintenance. We will whip your yard into shape in no time. We are a family-owned and operated business that has been serving the Bay Area for over 26 years. Like many of our clients, we enjoy the natural beauty that the state of Florida offers. 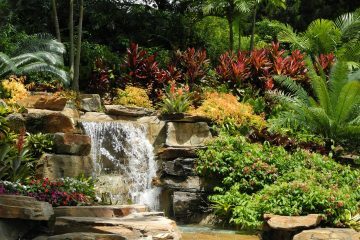 Our goal is to create and maintain lush landscapes that are aesthetically pleasing and environmentally friendly. From our owners to our trained team members, we all share a passion to deliver quality service on every job associated with the Arrington name. As a small local business, we are able to focus on the needs of our clients. For us, it’s more than just designing, installing, and maintaining a landscape. We love to get to know our clients and cultivate long-lasting relationships. Arrington is a fully licensed and insured company. Arrington has a deep commitment to doing things right. They are extremely customer focused and budget friendly. Over the past 10 years, under Arrington's care and design, our grounds, shrubs, trees, and palms all look vibrant and colorful, with plants that are appropriate for their location. Our owners are very pleased. New buyers always comment on how the look of our property made them very interested in purchasing an available unit. 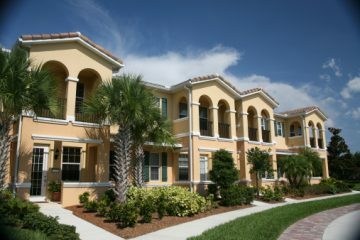 The condominium association that I represent has 17 residential buildings as well as a pool and tennis court all of which require regular lawn maintenance as well as landscaping and design. We have 14 plus acres and many areas have different requirements. Doug has helped with designing new planting beds and helps us keep costs in line with the budget. We have worked with Doug and Arrington for well over 10 years and believe that we have been served very well by him and his professional staff. Create a stunning landscape that will bring you enjoyment for years!